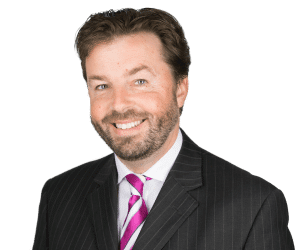 Fraser is a banking and finance solicitor with 16 years’ PQE, who advises on a wide variety of finance related matters, acting for both lenders and borrowers. His particular interest and expertise relates to funding work in both the social housing sector and the education sector. Fraser is ranked in band 2 (the only solicitor without a base in London) in Chambers UK for UK wide Social Housing: Finance Work. He is noted for his “availability, organisation and communication skills” and it states that he is “highly practical” and “delivers to a timescale”. Fraser is also ranked in Legal 500 in each of the following categories: Social Housing – Wales, Social Housing Finance – London and Banking and Finance – Wales. Recent comments in Legal 500 include that Fraser is “technically very sound” and “consistently excellent”. Acting for ISOS Housing Group Limited on a refinancing upon an amalgamation. This involved the amalgamation of four Registered Providers (“RP”) to form a sole entity. Each RP had funding with a different bank and each refinancing had to complete simultaneously and to a tight timescale. Acted for a group of housing associations in relation to a loan from Affordable Housing Finance Plc. Acted for a large housing association in relation to a £120m refinancing. Acted for Barclays Bank Plc on numerous social housing transactions including in relation to a £120m loan to The Swaythling Housing Society Limited. Acted for Lloyds Banking Group on numerous social housing transactions including a £75m loan to Newlon Housing Trust. Acted for a large social housing provider in connection with a US$200m private placement. Work involved banking advice in relation to the Note Purchase Agreement, a legal opinion to the noteholders and commercial advice to the client in relation to authorisations and general approvals. Fraser has also acted for the client on refinancing existing facilities with Lloyds and Barclays. Acted in separate transactions for the purchasers / noteholders in relation to US private placements by each of First Wessex (two separate placements), Metropolitan Housing Trust Limited and Bromford Housing Association. Work included banking advice in relation to the Note Purchase Agreement, advice on the social housing sector to the potential purchasers and a legal opinion on the relevant issues. Acted for United Welsh Housing Association Limited in relation to several loans including THFC funding and Abbey National Treasury Services / Santander loans. Also providing ad hoc advice on restrictions in historic loan agreements on the creation of subsidiaries. Acted for Eastern Valley Housing Association in relation to its restructure with another Registered Social Landlord to become Melin Homes. Dealt with all aspects of the amalgamation including initial advice to the Board, the statutory requirements and the updated Rules. Previously advised on numerous queries relating to Schedule 1 of the Housing Act 1996 issues. Acted for a housing trust on a loan from THFC. This involved amending the standard THFC documentation to reflect the corporate status of the borrower.